Photos of the new look 2018 Mazda6 wagon have just been revealed and we just can’t wait to see it in person. The stunning new model will be debuting at the Geneva Motor Show in March and is due to reach Australian shores in August or September this year. All will be revealed in Geneva of course, but there’s a few things we do know about the new Mazda6 wagon. We’re talking more technology, more space and more power. On the outside the new Mazda6 will get a stylish new grille, façade and headlamps much like the CX-5 and CX-9 new-look models. The interior has been completely redesigned (apart from the classic steering wheel) with a 360-degree reverse camera, new dashboard, wider seats, reduced road noise and larger 8-inch infotainment system. A six-speed automatic transmission and adaptive radar cruise control will come as standard, with additional safety features such as lane-keeping assist, traffic sign recognition and intelligent speed assist available on higher spec models. When it comes to performance, this is our most powerful Mazda6 in over a decade. The new Mazda6 wagon will boast the Skyactiv-G engine (similar to our Mazda CX-9) - a turbocharged 2.5-litre four-cylinder petrol engine with 170kW/420Nm of torque. High performance and room for the whole family, new Mazda6 is no slouch on the road. Not much has been revealed about the rear, but we do know that it will have a bigger boot and extra practicality for the whole family. 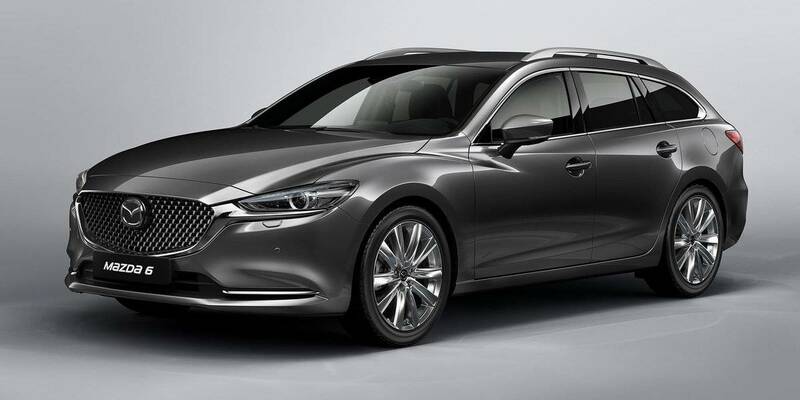 The Mazda6 wagon is a great alternative to an SUV, so make sure you register you interest with us today to find out when the first batch of vehicles will be available to test drive!